is perfect for helping someone with trouble getting on or off a toilet seat, helping them live a more independent lifestyle. These lifts attach right to the base of most standard toilets and gently raise the person up to a near standing elevation. Easy Installation in as little as 15 minutes. 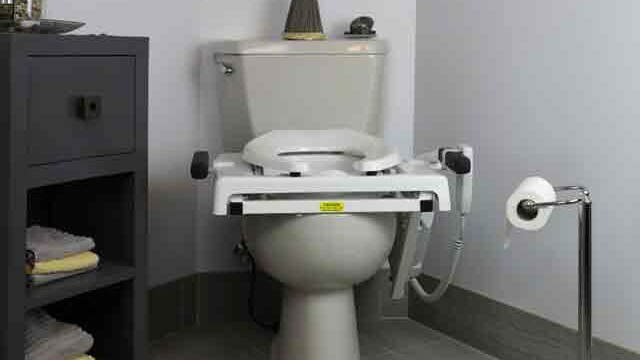 Power Motor Commode lifts up to 325Lbs. 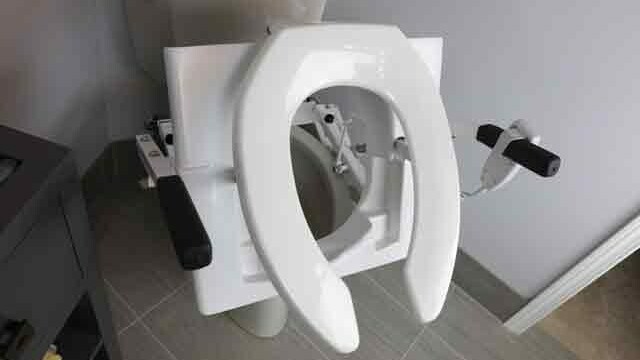 Removable Cover on toilet lift seat for quick cleaning. These lifts install on almost all standard toilets, or commodes. 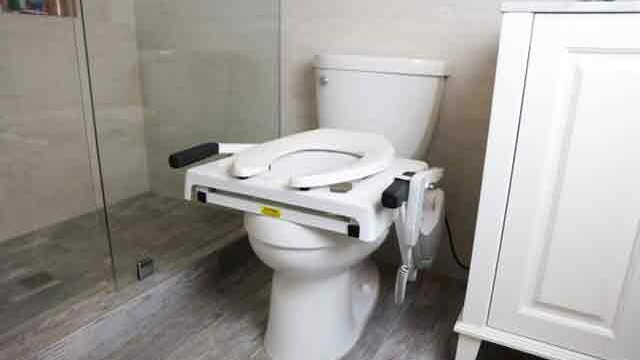 Power Toilet Seat Lift - The number one selling US made Commode lift! This lift toilet seat will quickly, yet quietly raise you up towards a standing position, making it easier and safer to use the bathroom for anyone needing a little extra help to get up. 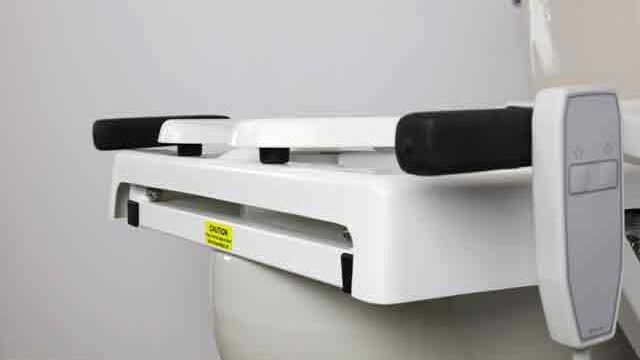 This toilet lifter is easy to install on most commodes. 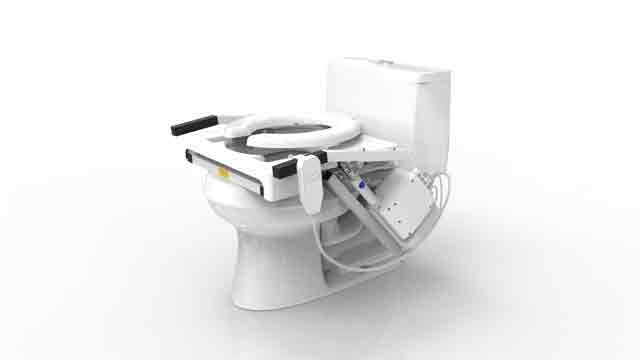 Powered toilet seat lift units are available for the standard round front style commode or the elongate (oval) front. Simply select the option that fits your needs below and find the right handicapped toilet seat for your lifestyle. Just push a button to live a more independent life! This auto toilet seat lifter includes free ground shipping. This power toilet lift is non-returnable due to hygiene safety. 4400 10' 24" x 24" 325 lbs. 34 lbs. 4450 10' 24" x 24" 325 lbs." 34 lbs. 4425 10' 24" x 24" 325 lbs. 37.5 lbs. 4460 10' 24" x 24"" 325 lbs. 37.5 lbs. 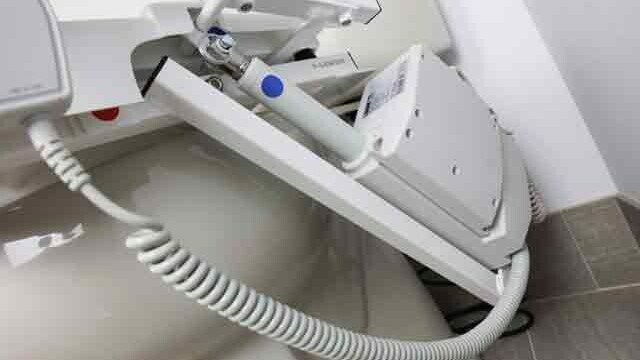 Tilt Toilet Lifts install on most standard toilets. Weights are approximate. Most Lifts Ship the Same Day! We ship from WA and KY for the fastest delivery anywhere in the USA!